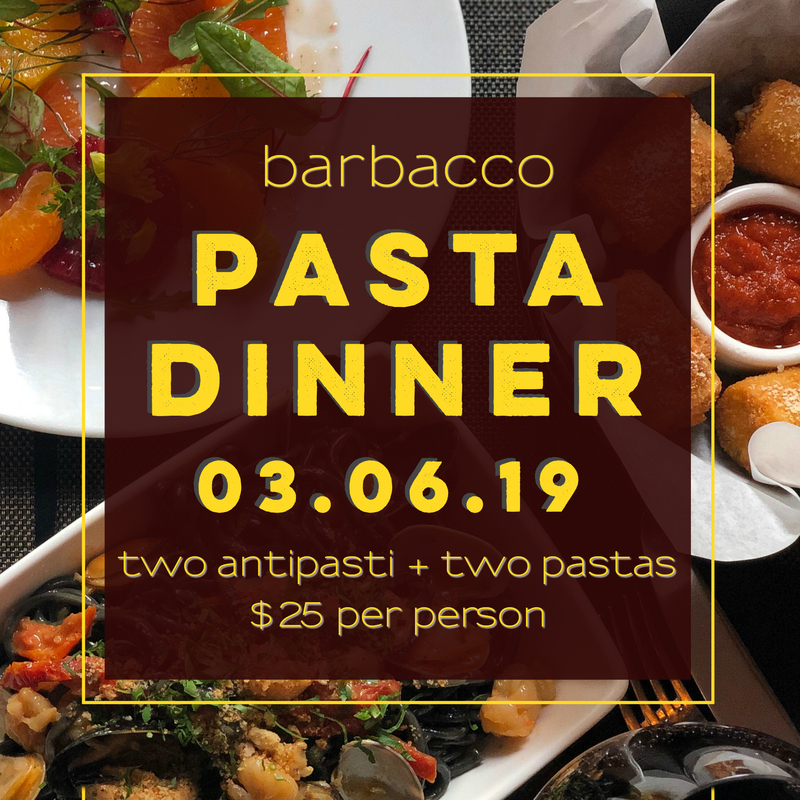 As you have hopefully heard, the first* Wednesday of each month we host a special $25 pasta dinner that is available alongside our full dinner menu. The menu changes each month featuring new pasta dishes, as well as ingredients and flavors Chef Jesus is excited about. We are hosting our next pasta dinner Wednesday, March 6th and we hope you’ll join us! This special menu now includes two antipasti and two seasonal pastas to share – all for just $25 per person. Reservations can be made by calling (415) 955-1919 or online here. *Schedule adjusted due to the holidays; please confirm future dates when making reservations.